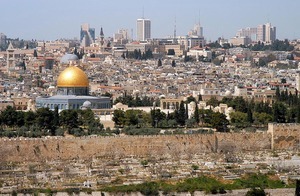 Jerusalem has been the focus of hopes, dreams and prayers of the Jewish people around the world for three millennia. Now US-President Donald Trump has clearly pronounced, that the USA recognize Jerusalem as Israel’s capital. Prime Minister Benjamin Netanyahu immediately reacted thankful and more than pleased.